Starting secondary school is an important time for all students, bringing with it new challenges and expectations. With the GCSE course starting in Year 10, there is usually only one year for students to settle in before they start the syllabus for very important exams. 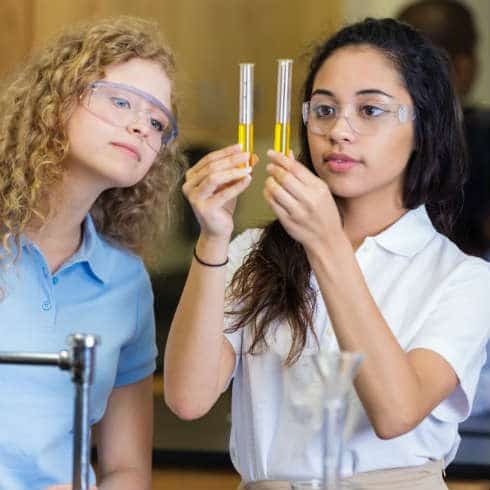 As education becomes more international, children sit GCSEs or IGCSEs at the end of Year 11, or will be following the International Baccalaureate (IB) Middle Years Programme or American High School Diploma. As they enter Year 12, they are likely to begin A level courses, Pre U courses or the IB Diploma, though a handful of international schools offer the American system all the way through. The results a student achieves at GCSE and A level or the IB and US SATs opens doors for their higher education. It can be an overwhelming time, with a large workload across a range of subjects and regular assessments. Being paired with tutors who are passionate about their subjects, often with rich and varied academic and professional backgrounds, can work wonders for a student’s understanding and enjoyment of their subjects. We help pupils surpass expectations in exams and develop passions for subjects that surprise even the students themselves. To discuss how we can help you, please email dubai@hollandparkeducation.com or call +971 (0) 4 313 2977.